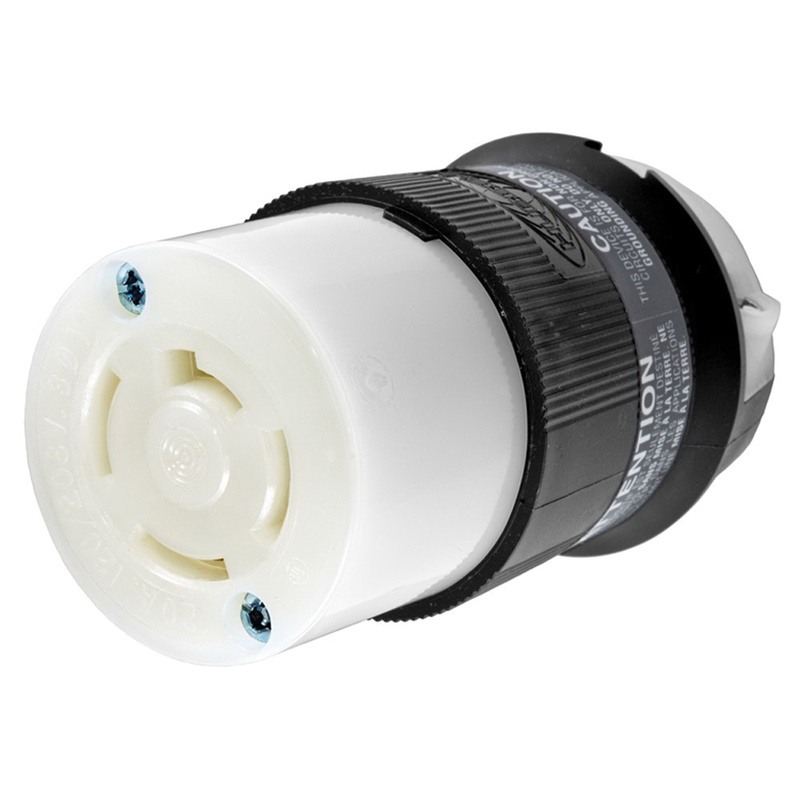 Hubbell-Wiring Insulgrip® Twist-Lock® Polarized locking connector comes with ribbed nylon housing that provides a secure grip and impact and chemical resistance. The superior cord grip design protects terminations from excess strain. It has integral dust shield that protects wiring chamber from dust or contaminants. Locking connector meets UL standard 62 and CSA C22.2 No. 49 standards.